My kids are super excited about having muffins in the house and stocked in the freezer! 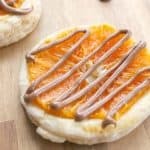 They pull them out the night before and they have the perfect on the go breakfast! Therefore we always have muffins ready to go! It definitely helps when mornings are busy! Start off with a good liner. I have tried several but so far lately it seems these parchment paper liners are working the best. 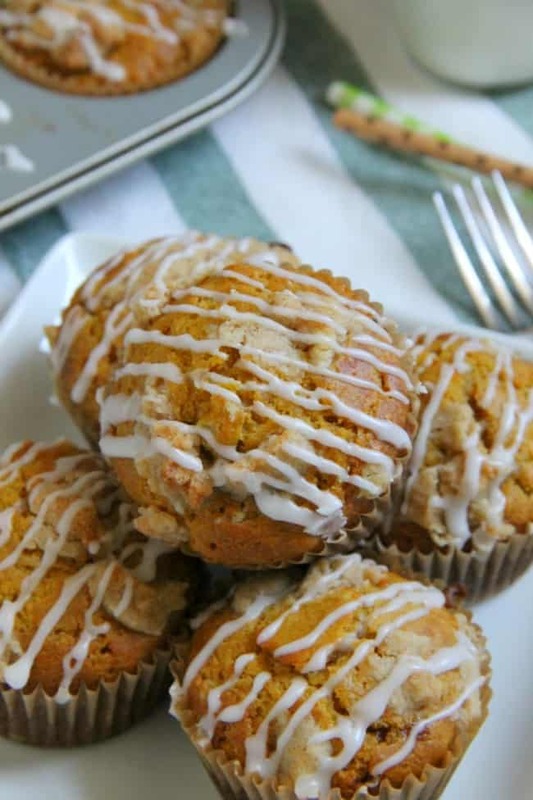 You can make a variety of these such as these Blueberry Oatmeal Muffins. 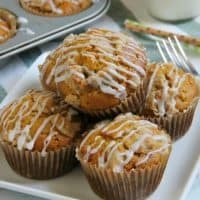 Perfectly moist pumpkin muffins with a crumb topping! Preheat oven to 400 ℉. 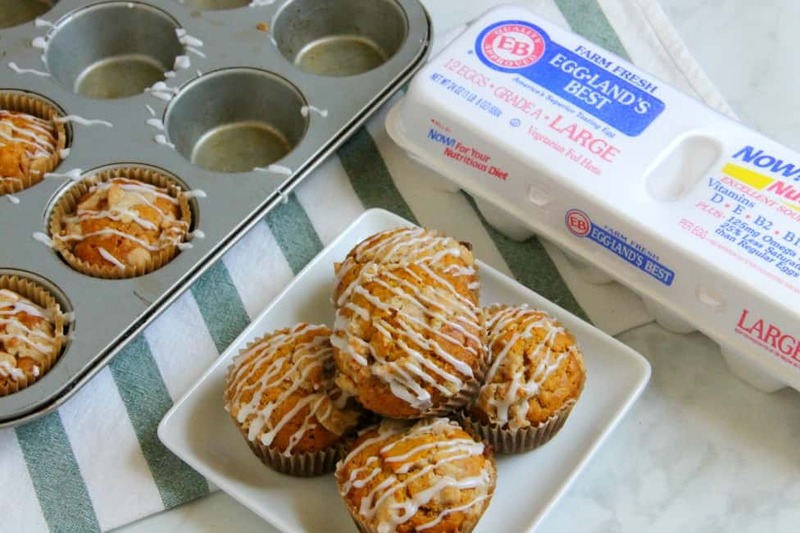 Line muffin pan with liners. Set aside. In large bowl add butter, milk, eggs, pumpkin, vanilla and brown sugar. Whisk together until completely incorporated. Add in flour, oats, baking soda and pumpkin pie spice. Stir until combined. 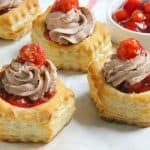 Scoop into muffin liners. Set aside. In small bowl add melted butter, flour, brown sugar, and pumpkin pie spice. Stir together. 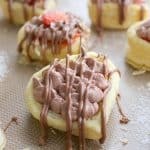 Sprinkle the top of each muffin with a little of the topping mixture. 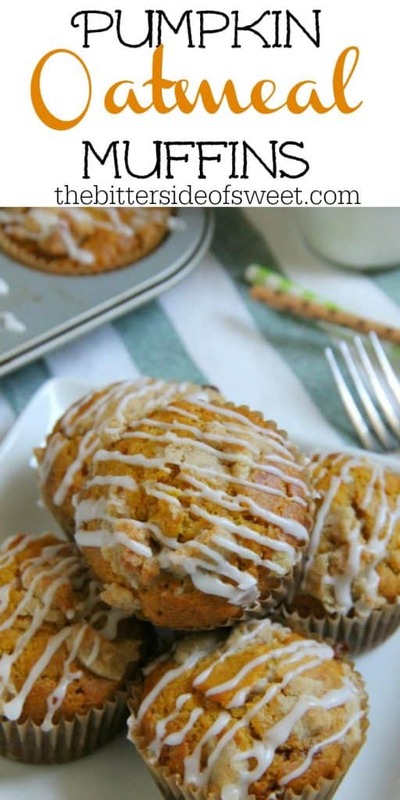 More Pumpkin Recipes that you will enjoy! 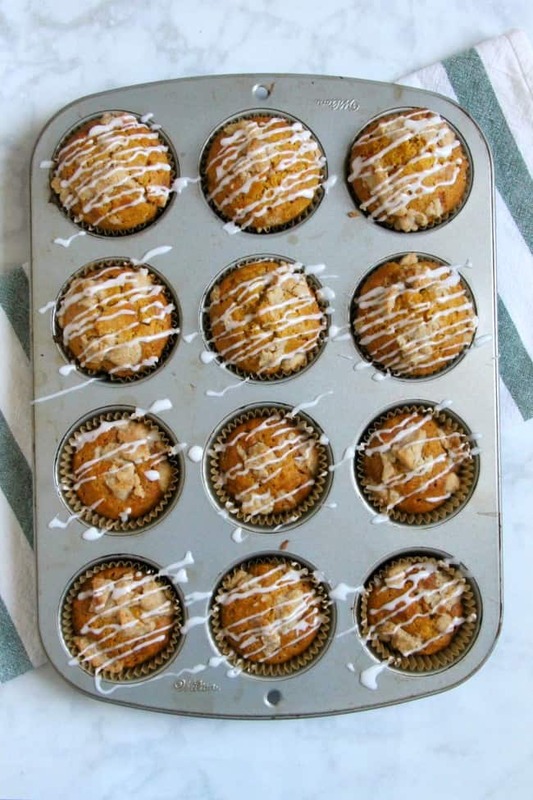 I’m always happy to have another muffin recipe to add to the the repertoire. 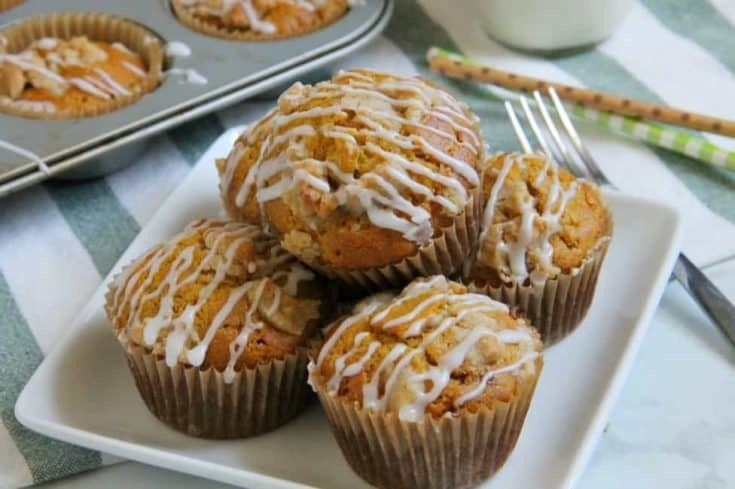 This is showing the wrong recipe….how can I get the one for Pumpkin Oatmeal Muffins? Hi Sheryl, SORRY about that! The recipe should be displaying correctly now! Thanks!